As Greg pointed out to me yesterday, I did not quote him on that in the preview. He has self-proclaimed himself, “The Prophet.” Therefore, I would to issue a formal apologize. I assumed when people saw the name “Greg Piatelli” before the pick, they would know that it was, as Matty D likes to say, a Cold Hard Lock. I mean look what happened to the two that did submit a quote, they’re wrong. Bold strategy Cotton, but it didn’t pay off. Turns out the intern enticed JSB to post that, goddamn intern. 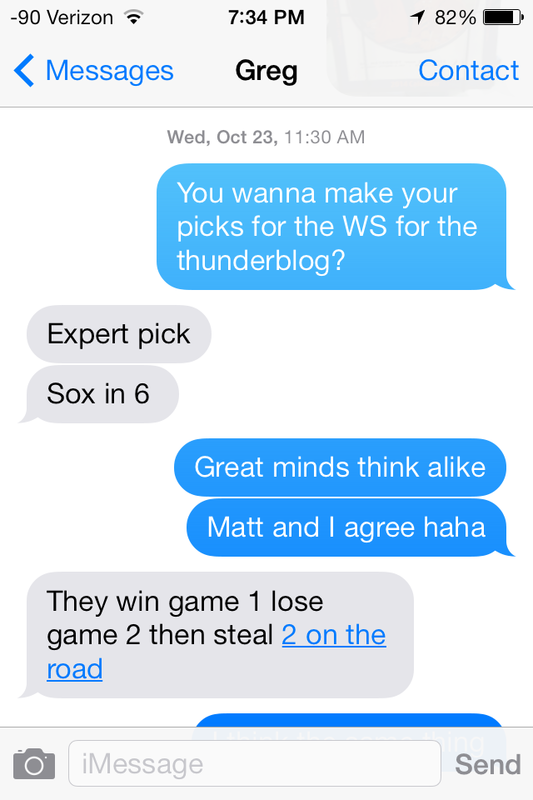 Don’t doubt Greg “The Prophet” Piatelli (or Matty D and the G-Man), it’s ending tonight.